5 endangered destinations to travel to ASAP! its shortage of ideas for making tourism sustainable and the large cruise ships that go through the city. 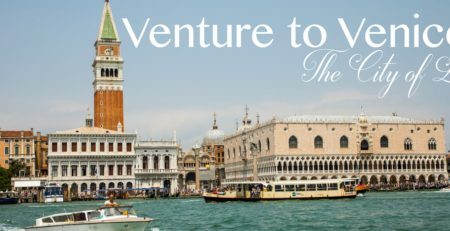 The decision about whether Venice will be placed on UNESCO’s list of endangered sites has been postponed until 2017.
shopping to keep you content for a lifetime, Venice is one of the world’s most dreamlike destinations. Even more enchanting in real life than all the films and images you have seen of it,Venice’s vast architectural, artistic, and musical heritage is simply remarkable. This floating city consists of a group of 117small islands separated by canals and linked by bridges. Let’s just say, there is a legitimate reason why the majority of the world has a trip to Venice on their European bucket list. Offering guests the most authentic 17th-century Venetian experience, this expansive palace has belonged to the Sagredo family since the mid-1600s. Rooms are traditional Venetian style, with many of them showcasing original art and architectural elements, and full or partial canal views. Ponte Antico is one of the hidden charms of Venice. Decor includes rich brocade-tufted walls, period-style furniture, and hand-decorated beamed ceilings, while the deluxe rooms have high ceilings and sweeping views. 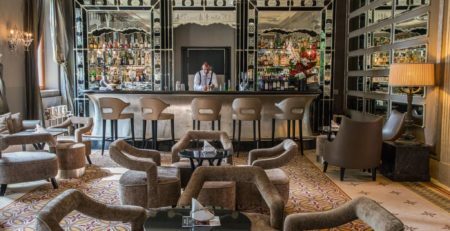 The upper-level terrace overlooks the Grand Canal and is the perfect spot to enjoy a morning caffè or evening aperitivo. The Pensione Accademia, originally a family residence, became the Russian Embassy between World Wars I and II. In 1950 it became a hotel, although a “unique villa in the heart of Venice” is a more apt description. Constructed in the 17th century, the 27 rooms are outfitted in Venetian style and mosaics decorate the marble or ceramic baths. In the summer guests are invited to enjoy the garden, which charmingly overlooks the canal. This is not one for planning procrastinators — rooms need to be booked well in advance! If coming by car, drive over the Ponte della Libertà bridge and into Piazzale Roma, the only place in Venice where cars are allowed. Otherwise, fly into Marco Polo airport, or travel by train into Santa Lucia Railway Station and then either walk or take a water taxi into the main city. • Spring and fall are the best times to visit Venice (the weather is pleasant and sunny), although these are also peak visitor times. • Some of the most photogenic places in Venice are on the outer islands. 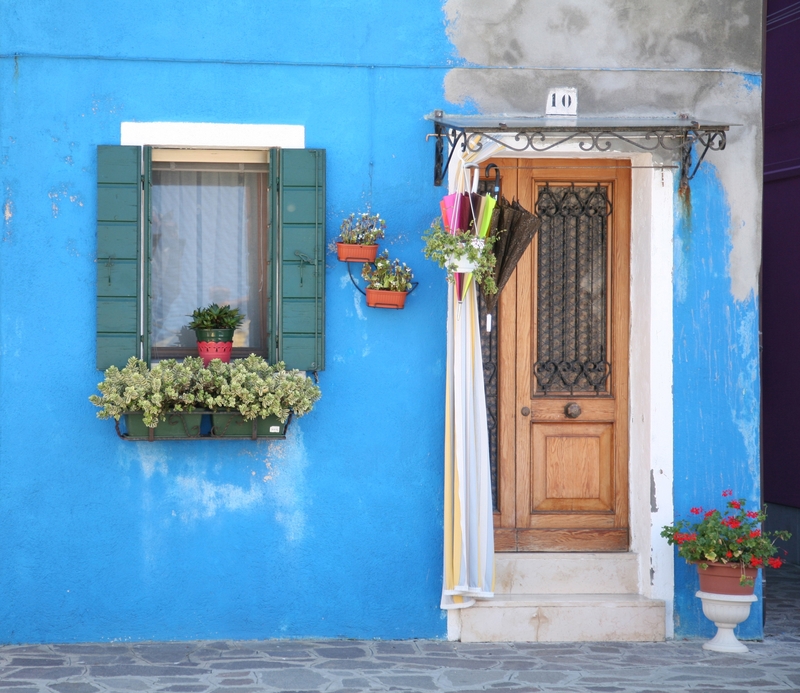 The small islands of Burano and Murano are not to be missed. If time permits, plan to stay a whole day. • Places like Piazza San Marco, Riva Degli Schiavoni, andBridge of Sighs are popular for a reason. 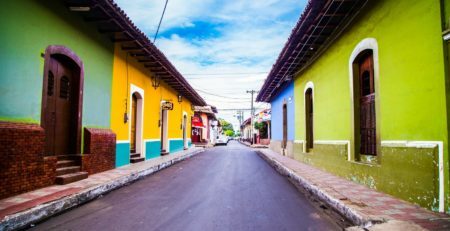 Don’t ignore these tourist hot spots! 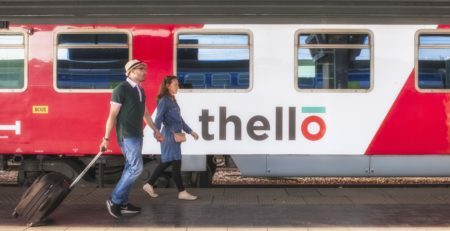 is around €80 for up to six passengers, increasing to €100 at nighttime. 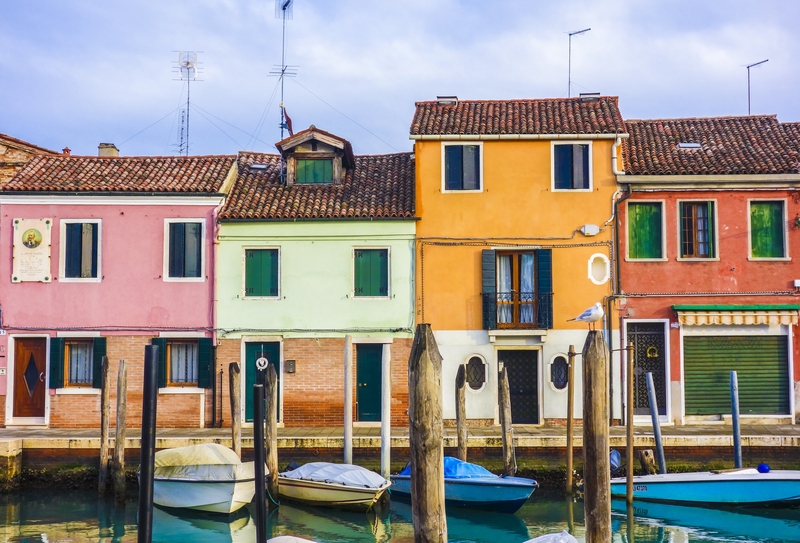 • Venice itself is quite compact, allowing you to walk across it in a couple of hours. Wake up early to get glimpses of the city before hoards of tourists arrive. broader development in the region. At the time of writing, a protest by hundreds of residents of a village below MachuPicchu has blocked a key railroad, preventing thousands of tourists from visiting the ruins. Located 2,430m above sea level and in the middle of a tropical mountain forest, Machu Picchu is the best-known archaeological site in South America. The 550-year old citadel was built by the most advanced — and in Peru the very last — pre-Columbian society and combined with the adjoining forest and wilderness park covers more than 116 square miles. 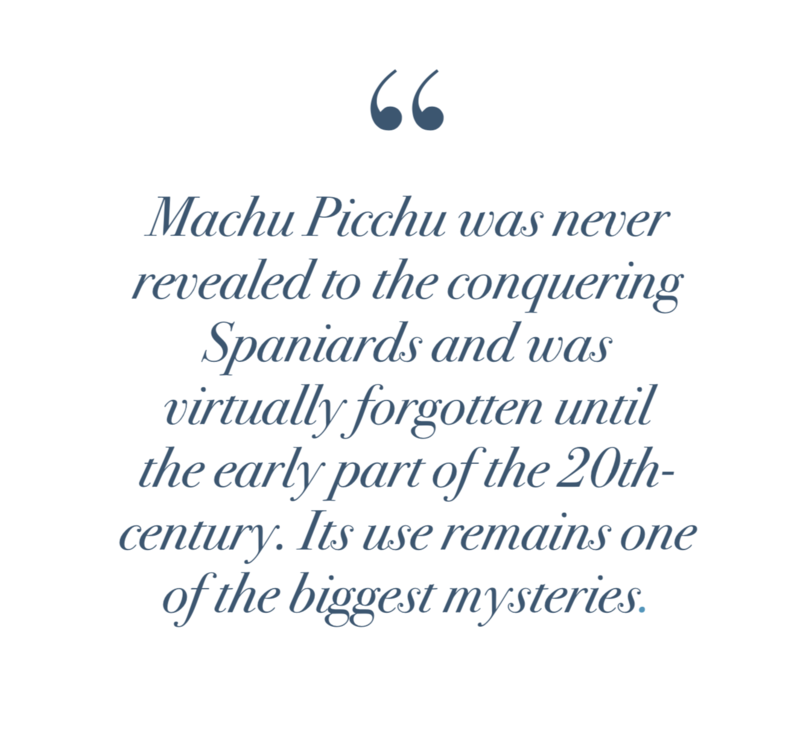 Unlike the majority ofIncan sites, Machu Picchu was never revealed to the conqueringSpaniards and was virtually forgotten until the early part of the 20th-century. Its use remains one of the biggest mysteries. We know its functions were partly residential and partly religious, but historians are still postulating over the reasoning behind its cosmic positioning and academic importance to the Incas. The only hotel located adjacent to Machu Picchu, the expensive and exclusive Belmond Sanctuary Lodge boasts pretty orchid gardens, pre-Columbian design cues, haute Peruvian cuisine and a stroll to the national park whenever ready. Located in Aguas Calientes (the closest town to Machu Picchu),this hotel has its own 12-acre densely wooded reserve, low-slung colonial-style buildings and ‘Andean eucalyptus sauna’. While all rooms have views of the gardens, the largest rooms have wood-burning fires, a living space and private dining areas. It is ahalf-hour bus ride up to MachuPicchu. With a vibe more akin to a spaceship than a hotel, these aluminum pods are as unconventional as it gets. Attached to a granite slope, 600 metres above the Urubamba Valley, you arrive to your pod in a harness with all of your food and water in your guide’s backpack. Apart from the aluminum framework, everything else is clear Perspex which provides dazzling views of the valley and the stars. A decent level of fitness and agility is required, but this is a once-in-a-lifetime sleeping experience. Plus, the next morning you zip-line to the valley floor! The pods are a 90-minute drive from Cusco and eight miles from Machu Picchu. Skylodge Adventure Suites, Valle Sagrado, Pista 224 km. Urubamba Ollantaytambo, Cusco, Peru. 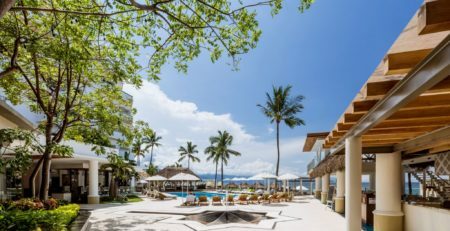 If you are looking for a breather en route to Machu Picchu, this resort-style hotel might be more for you. Located at the bottom of a mountain beside the charming Vilcanota River, this hotel offers guests Incan-inspired architecture, a trendy spa with cocoa, mud and quinoa facials and 24-hour room service. All rooms have balconies with garden or mountain views, marble bathrooms and Wi-Fi, while suites come with separate living rooms, larger televisions and butler service. Fly to Lima – the capital of Peru. Then Fly to Cusco, Alejandro Velasco Astete International Airport (CUZ), then take train to Aguas Calientes. Buy tickets to Machu Picchu in advance. Fly into Alejandro Velasco Astete International Airport and take a train from the city of Ollantaytambo to Aguas Caliente, which offers regular buses to Machu Picchu. There are three train companies: Peru Rail, Inca Rail and MachuPicchu Train. For PeruRail and Inca Rail, trains depart from Poroy station (a 20-minute trip from Cusco) or from Ollantaytambo station, located in the Sacred Valley. The trains arrive at Machu Picchu Pueblo(also known as Aguas Calientes). From the main train station, it is a short walk to the Consettur bus stop. Bus tickets can be purchased online or at the bus stop (cash USD or PEN). • Machu Picchu is the busiest in July and August. November to April is the rainiest season with January to February being the wettest months, so November and April are the ideal months to visit. 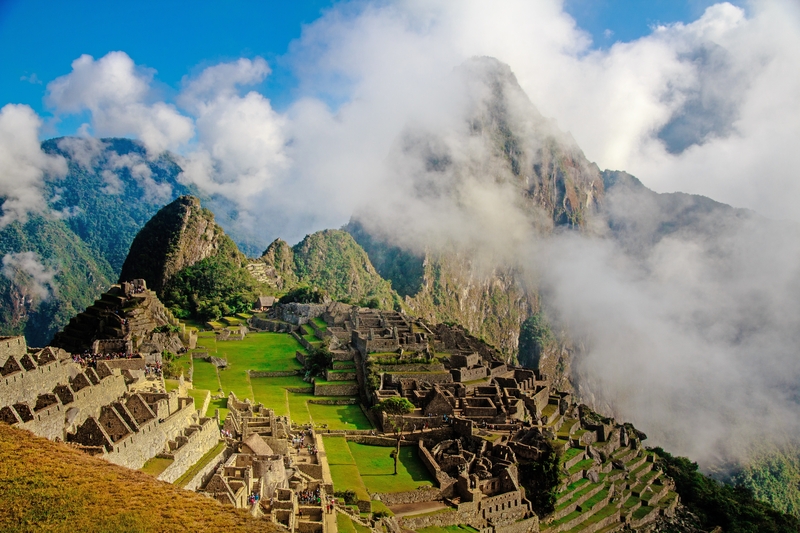 • You can visit the ruins without a guide but you can’t walk the Inca Trail without one. Tour operators offer various packages ranging from tough week-long treks to slightly-less challenging three day tours. • If on your own, make sure to avoid the 11am-3pm crowds by arriving before or after the rush and allow yourself four hours at the site. • As a result of the high altitude, temperatures can be cool and often wet, so make sure to pack a decent sweater as well as rainproof gear. Insect-repellent, a hat, sunglasses and high-factor sun protection are also essential. 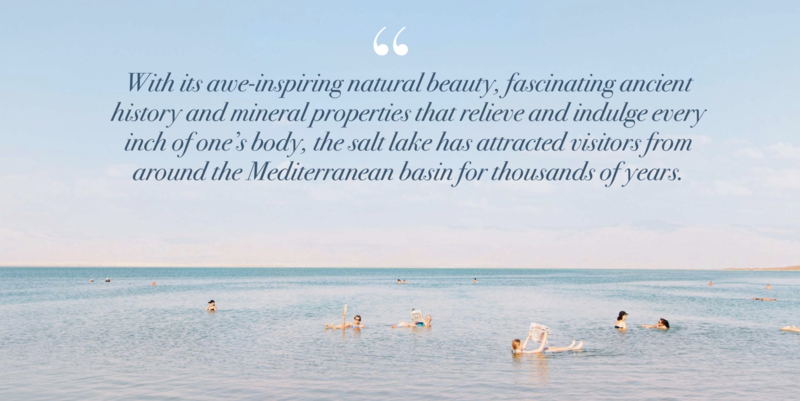 body, the salt lake has attracted visitors from around theMediterranean basin for thousands of years. However, theDead Sea is shrinking at an alarming rate — about 3.3 feet a year and human actions are (of course) mainly to blame. There are three main reasons that the water levels are declining so rapidly. 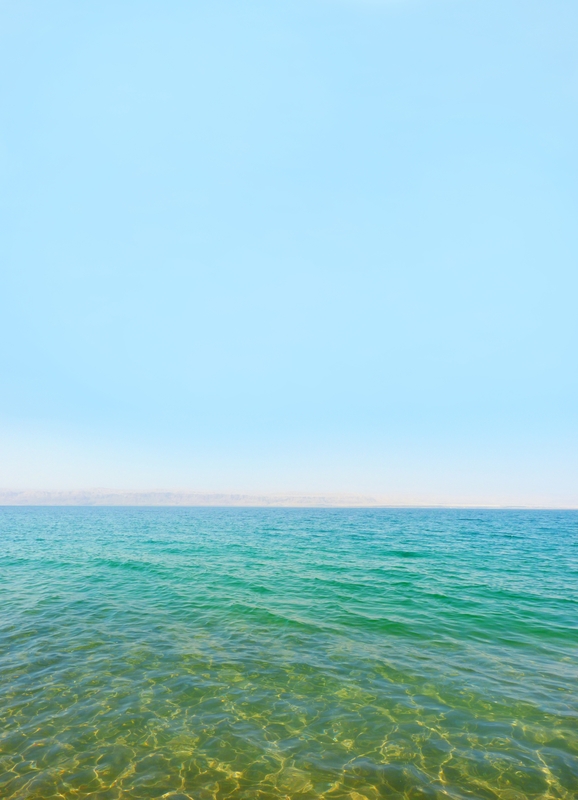 First and foremost, the Dead Sea needs water from the other natural sources surrounding it (such as the Jordan River basin) to maintain its water levels. However, beginning in the 1960s, some of these essential water sources were diverted by countries in the region and put to other uses. Secondly, the Dead Sea’s minerals are notorious for their soothing therapeutic properties. In recent years, cosmetics and skin-care products containing these minerals have become more and more fashionable, leading to greater mineral extraction demands. Thirdly, the Middle East’s hot, dry climate doesn’t lend too favorably to the lake’s ability to replenish itself. That being said, there has been some progress. Last year,Israel and Jordan signed a $900 million deal in an effort to stabilize the Dead Sea’s water levels. This deal which includes building a canal from the Red Sea to the Dead Sea so that both countries would be able to supply water to Israel andJordan, also includes a promise to pump some 300 million cubic meters annually into the Dead Sea. Having the opportunity to bob around in the Dead Sea is a highlight of any trip to the region. The saltiness of the water ensures that very little marine life can survive there, but as a human you can be fortunate enough to experience 15-minutes of the ultimate floating experience. Sure, you can stay in longer, but 15-minutes is the perfect amount of time to lather yourself in the mineral rich mud, take a few photos and then get out of there before your skin begins to sting. Biblically, the Dead Sea was a place of refuge for King David.It was one of the world’s first health resorts (for Herod theGreat), and it has been the supplier of a wide variety of products, from balms for Egyptian mummification to potash for fertilizers. Think of it like a 15-minute spa day! 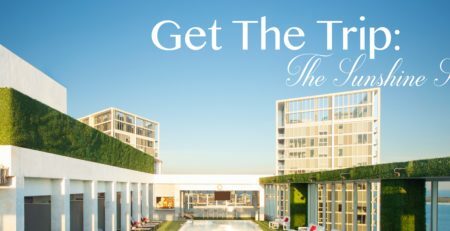 For those of you who require a little more than 15-minutes of pampering, the Lot SPA Hotel may be for you. This high-end hotel stands out because of its consistently incredible spa facilities, including the ever-popular Dead Sea Body Wrap and many therapeutic massages as well as a top-notch sulfur swimming pool to rejuvenate your skin. The rooms are clean, well-appointed and have plenty of room. They come with a balcony from which you can take in the Dead Sea’s splendid scenery. 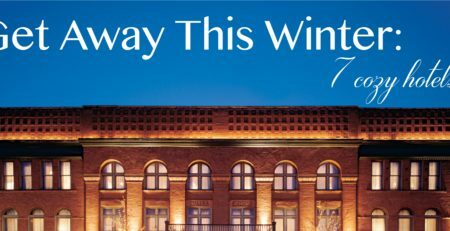 In addition, the hotel contains both a spacious outdoor pool and a well-heated indoor pool for the winter. This hotel belongs to the esteemed Isrotel hotel chain and exhibits all of the class and quality that is come to be expected from the brand of luxury hotels. The rooms are well-appointed and comfortable, with many of the rooms offering a truly spectacular view of the Dead Sea’s stunning scenery. The spa facilities are popular among guests who seek the ultimate relaxation and feature a traditional pool, a Dead Sea water pool and a sulfur water pool. The spa menu features a wide range of therapeutic body treatments at reasonable prices. For a small add-on charge, you can reserve a room on the VIP floor with access to the VIP Lounge where excellent food is served throughout the day. soak up the Dead Sea sun without a care in the world. With superior accommodations, revitalizing spa facilities, and world-class amenities, the premium hotel offers the perfect destination for all the family. The hotel’s service staff abide by exacting professional standards and never fail to provide friendly customer care, while serving up some truly delicious meals. Ein Bokek and Masada. If on a tight schedule, rent a car at either airport, as bus times are fairly infrequent. • Don’t shave before you go (preferably 2-3 days) and make sure to wrap any deep scrapes or bodily sores up before entering the water. • Arrive with your bathing suit on and take photos before entering the water. • Get acclimated with the water first and move slowly, making sure to keep water away from your eyes. • Wear water shoes so that you don’t get cut on jagged salt rocks. • Make sure to drink a lot of water — the saltiness can dry you out to the point of dizziness. 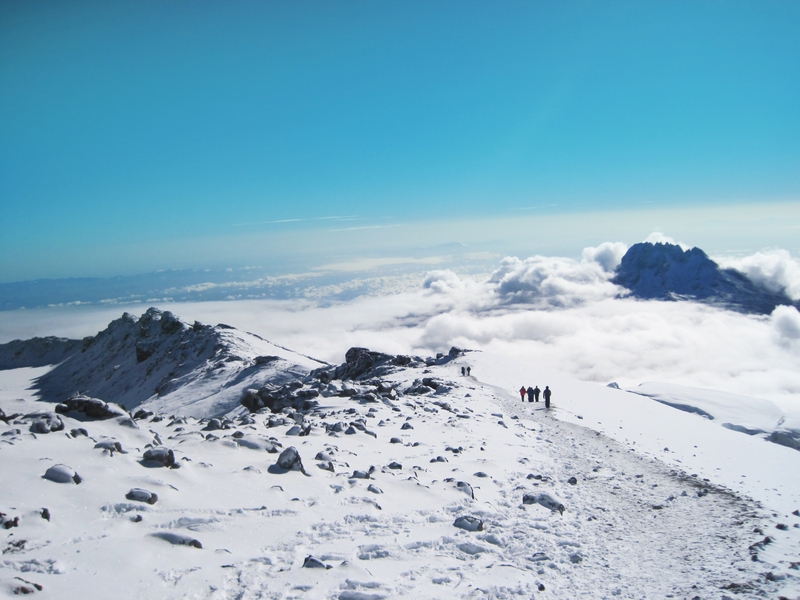 the world, a trek to Kilimanjaro is not about the wildlife, but instead, about having a look at the mountain on the equator capped with snow. 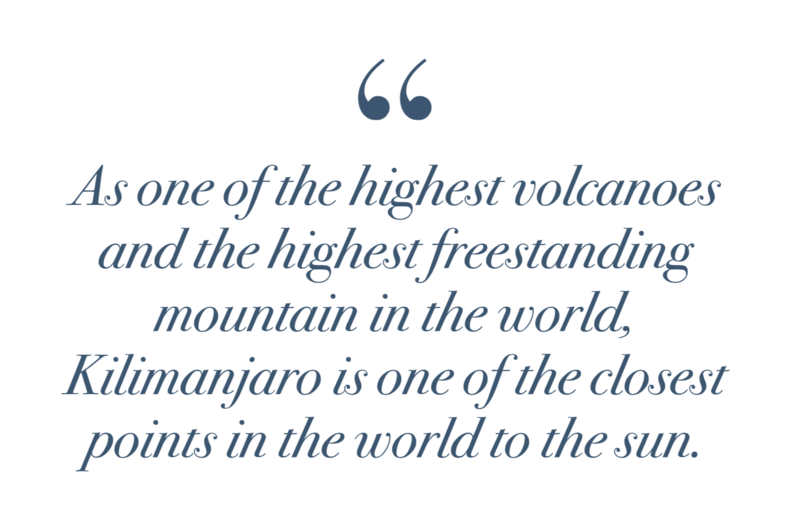 The mountain is sacred to the local Maasai people, and it’s easy to see why: The snow melt from the summit of this dormant volcano has been nourishing the valley below for millions of years. However, since the early 1990s more than 80 percent of the ice cap on one of its summits, Kibo, has disappeared and scientists are predicting it will vanish completely by 2033. As one of the highest volcanoes and the highest freestanding mountain in the world, Kilimanjaro is one of the closest points in the world to the sun. This dormant volcano is so remarkable that approximately 25,000 people from around the world attempt to reach the mighty summit each year. Technically it is the easiest of the Seven Summits to climb, due to the fact that you don’t need ropes, special mountaineering gear, or even any previous technical climbing experience. But don’t be fooled by the number who attempt it — this is a serious endeavour, but one of the most rewarding hikes in the world. Due to Moshi’s close proximity to Kilimanjaro, many trekkers use this town as their base before hiking the mountain. Here are three hotel options in Moshi for all budgets. Located in Moshi, the immaculate capital of the Kilimanjaroregion, Bristol Cottages offers guests a sanctuary right in thefoothills of the mountain. Offering green gardens, Tanzanian fine dining, hot water and wifi, this is a fantastic mid-range option.There are a total of twenty rooms which includes: eight cottageson the ground floor, eight standard rooms on the first floor and four large suites on the second floor. All of the rooms areattractive, with the suites being especially spacious. Run by a German proprietor, Kaliwa Lodge Moshi is by far the best hotel in Moshi. With a beautiful setting near Machame Gate, this is the perfect hotel for travelers looking for unbeatable comfort, fabulous service and incredible photographic views of Kilimanjaro. The town of Moshi is a 25-minute drive away,ensuring that your stay here will be peaceful. Each room has views of the garden and guests are welcome to use the lodge’s wooden deck that looks over the Weru Weru Rift and Forest. Added bonus: Papa’s Kilimanjaro Whisky Bar offers a wide selection of whiskies from around the world. A fantastic budget option, The Hibiscus is a boutique B&B located within walking distance from Moshi town centre. The six beautifully decorated rooms are basic, but all come equipped with a fan and mosquito net. Their tropical garden comes complete with a fire pit and views of the peaks of Kilimanjaro — a lovely spot to have a drink under the stars. Continental breakfast is served on the terrace each morning, or your own private veranda,and lunch and dinner can be provided for a surcharge. Wifi is free in public areas and staff are eager to assist with the organization of your day trips, excursions and airport transfers. Arusha is another popular tourist town in Northern Tanzania.Its location just below Mount Meru and 1.5-2 hours South-West of Kilimanjaro National Park makes it a popular base town for trekkers. Serengeti National Park, the Ngorongoro Conservation Area, Lake Manyara National Park, Olduvai Gorgeand Tarangire National Park are also not very far from the town. Founded in 1894, The Arusha Hotel is the oldest one in the region and still considered one of the best. Despite being in the middle of the city centre, it has an old school colonial feel. The lush gardens can easily convince you that you have wandered into the countryside, while the gym, casino, 24-hour room service, massage services and hot tub ensure that your stay is as leisurely as possible. With modern African-style décor the spacious, air- conditioned rooms are a lovely treat and all guests can enjoy meals and drinks in the hotel’s Parachichi Restaurant and Hatari Bar. Fly into either Dar es Salaam or Kilimanjaro Airport (the latter is closer) and book a shuttle bus to get to Moshi, where most people begin their treks. It’s required to book a seasoned guide in order to hike the mountain. • Kilimanjaro is technically climbable year-round, but it’s muddy and stormy during the two Tanzanian wet seasons: March through May and November to early December. Most climbers therefore opt for a summit bid between January and February or between June and October. to climb Kilimanjaro. Most climbers opt for an all-inclusive tour operator that provides tents, food, transportation, and porter services throughout their entire stay in the country. • There are seven established routes to the summit, but most visitors pick among three. The Marangu Route takes five to six days and is the quickest, cheapest, and most comfortable. The Machame Route charges up the southern flank of the peak in six to seven days and is tough going. The Lemosho Route is a scenic journey up the long western ridge of the mountain, lasting from six to nine days. • Everyone responds differently to the altitude, but it’s wise to add an extra day or two to your trip so you don’t need to rush up the mountain. Fueled by warming oceans, coral reefs around the world are suffering drastically from a mass bleaching event. 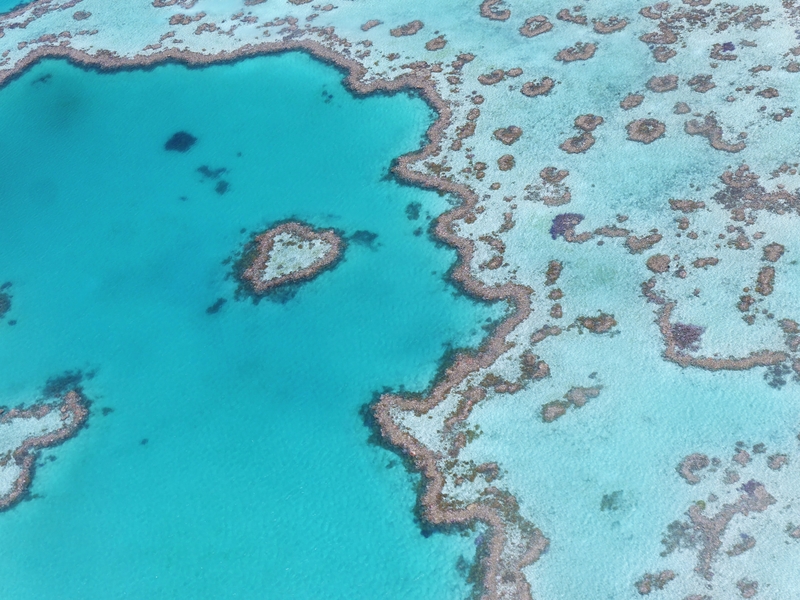 Nowhere is this destruction more evident than in the Great Barrier Reef. 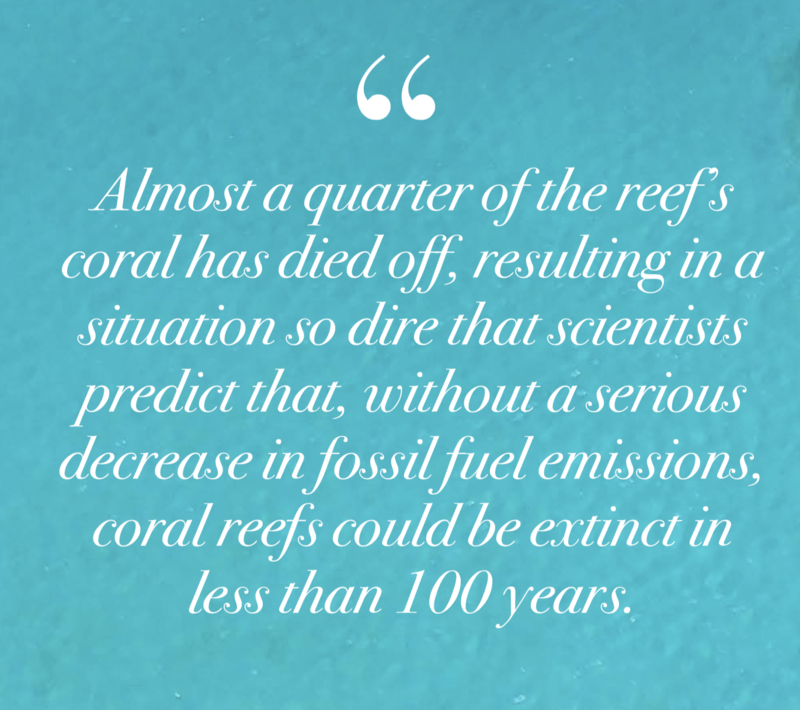 Almost a quarter of the reef’s coral has died off, resulting in a situation so dire that scientists predict that, without a serious decrease in fossil fuel emissions, coral reefs could be extinct in less than 100 years. Climate change is playing the most devastating role, since the oceans heat up along with the environment. Prolonged high temperatures cause the coral to expel their symbiotic algae, turning them snow-white and before ultimately dying. Some research suggests that several of the corals may be able to adapt to their warmer habitat, but change needs to happen fast. Covering more than 300,000 square kilometers and consisting of more than 3,000 reefs, 600 islands and 300 coral cays, the Great Barrier Reef is the world’s largest coral reef ecosystem and a UNESCO World Heritage site. Each year almost 2 million visitors come to experience this wonderfully rich ecosystem. Diving and snorkeling are the preferred modes of exploration, but you can also sail, embark on a scenic flight, or just take it all in from the shore. Located 15km north of Cairns, Angsana is a luxurious, romantic resort offering guests the choice of 67 Asian-colonial-style suites. Each suite comes fitted with wooden shutters, silk drapes and floor-to-ceiling glass doors that wonderfully open onto stunning tropical gardens. If you are looking to step up the luxury, the Angsana Suite has its own private terrace and pool. 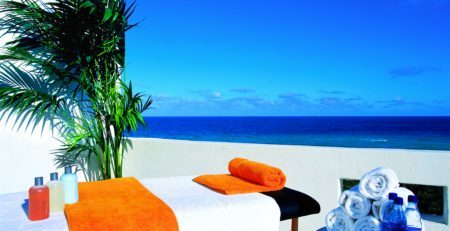 The resort also offers guests the chance to indulge in their spa, in the three saltwater swimming pools, or at their watersports centre. Nestled in the heart of the Great Barrier Reef, One&Only Hayman has long been regarded as the area’s premier hotel. Guests arrive to this enchanted natural world by seaplane, helicopter, or yacht and the luxury merely begins there. Rooms are designed with muslin-draped beds, egg baths for two and fragrant body products. But, if you ever want to leave the room, the resort has a spa, fitness centre, a PADI school for diving, outdoor dining and 726 acres for you to explore. With the Great Barrier Reef right at the tips of its toes and 20 dive sites within minutes, Heron Island is a wonderful option for both divers and non-divers. The island has a turtle-breeding beach, copious amounts of bird life and no cell-phone reception — making it the ultimate relaxing destination. Rooms range from the Turtle Room, which is set amongst Pisona Forest, to the secluded Point Suites, which offer the perfect sunset watching location. You can also opt for a freestanding house, the Beach House, to ensure your stay feels like home. As the reef is over 1,000 miles long, travelers can choose which island to go to. From Cairns International Airport and the Great Barrier Reef Airport (Hamilton), visitors can travel by scheduled boat, water taxi or seaplane. • While the islands around the Great Barrier Reef are always temperate, they do get warmer and wetter (especially fromJanuary through March) as you move north. • ‘Modern Australian’ food is a mix of Mediterranean, Asianand Californian cuisine. • Unless you’re a New Zealand resident, tourists entering Australia need to apply for a visa. U.S. passport holders traveling for tourism or business for less than 90 days can obtain an Electronic Travel Authority (ETA) online for 20 AUD (roughly 15 USD). The ETA is electronically linked to your passport, which means once you arrive at the airport, you can scan your document and be good to go. • Boat rides to the outer reefs can be quite rocky. Make sure to pack some acupressure sea bands or Dramamine beforehand! • While there are 133 shark species that call the Great Barrier Reef home, most are non-threatening to humans. In fact, the main concerns come from box jellyfish and stingrays.